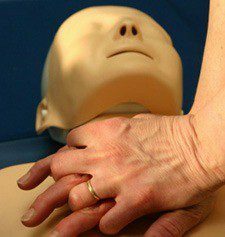 First Aid Training Co-operative provides a range of services and support to first aid trainers. As a co-operative, we operate on the basis that being associated with us is a mutually beneficial exchange. The Co-operative provides shared benefits: increased profits; reduced costs; and minimal administration for trainers - allowing us to provide top quality training to our clients. 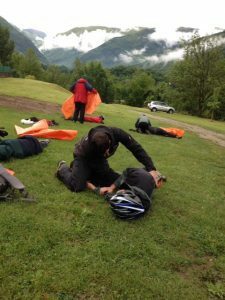 We provide a development pathway for new first aid trainers and those wishing to begin a career in first aid training. Our specially designed courses equip you with all the qualifications and guidance you need to start your own business, and those that want to can choose to become Associate Members of the Co-operative, and enjoy ongoing support. Alternatively, new trainers may prefer to ‘go it alone’ and our Trainer Induction Course provides for that option too, if that is your preference. By becoming a trainer and Associate Member, you have the freedom of being self employed with the benefits of a national company, as well as access to professional trainers with a wealth of experience and knowledge to help you make your new venture a success. We also offer existing first aid training businesses the opportunity to join the Co-operative and reap the rewards of our mutually beneficial system. We provide the space for first aid trainers to get out from behind the desk and do what you do best, by cutting down your administration and paperwork through our centralised administration system. By becoming a co-operative, our businesses have grown, our profits have increased and we get to do what we love doing. We believe this system could benefit you too.